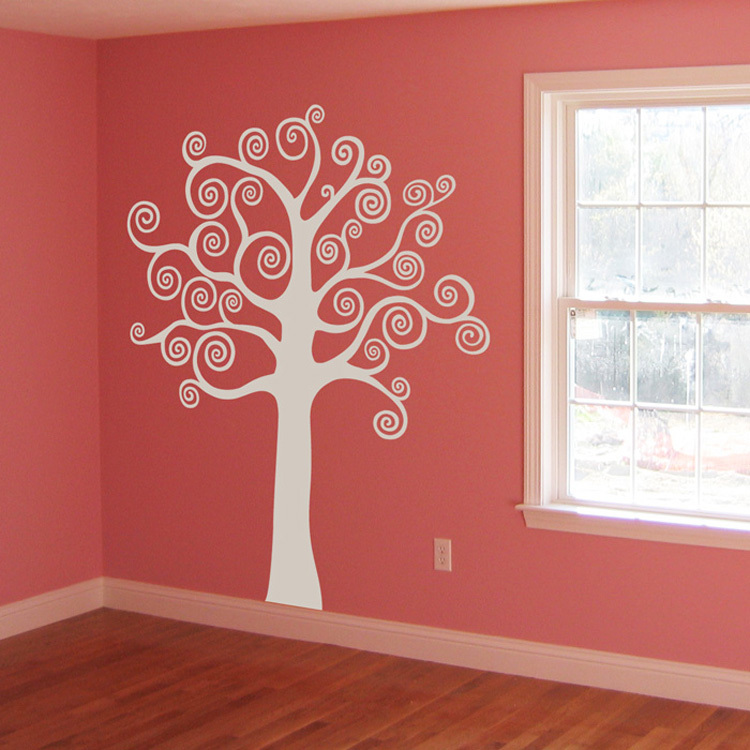 This pretty, swirling tree adds a twist to the natural look while still maintaining a neat, whimsical feel! This pretty tree measures approximately 52" wide by 72" tall (THAT'S 6 FEET!) and is shown here in white. It's available in ALL of our colors though! If you would like this tree in a different size, please contact us first as pricing will varry. they all just love the look and are wanting to know where I got my decals. I am posting the link to your website for all to use on my face book and I hope that it results in some benefit for your company. I am very pleased with the service I received, it is awesome when you call you get to speak to a person at the company. Bravo and thank you. I purchased this set of decals along with another set that I have not applied yet because I am doing a memory wall and don't have all of the materials yet. I was so nervous about the application of the decals I was going crazy. Dali Decals is one of the best companys I have ever had the pleasure of doing business with and I do a ton of online purchasing. Both of my orders, placed seperately, arrived within a week and there was always a little something extra in the package. Application of these decals was approx 10 min. from beginning to end and was such a breeze. I love it. my friends love it and my husband LOVES IT! It turned out absolutely amazing. I highly highly recommend dali decals. They are a great company with quality products at competitive prices.